The rind of this cheese is covered in a charcoal ash made from animal bones. According to a report from GrubStreet, Blue Hill's bone-ash cheese is now for sale at New York's Saxelby Cheesemongers. The cheese was commissioned by Blue Hill's chef Dan Barber. Barber and his team of chefs often reduce kitchen waste into charcoal as a way to enhance "flavor profiles," in their food — and to continue their mission of wasting literally nothing in the kitchen. According to the Blue Hill Farm's Instagram account, this cheese is "coated in animal-bone charcoal ash. Blue Hill has spread the charcoal on a variety of cheeses at its restaurants, the only place where you could sample Barber's charcoal-based food exploits until now. 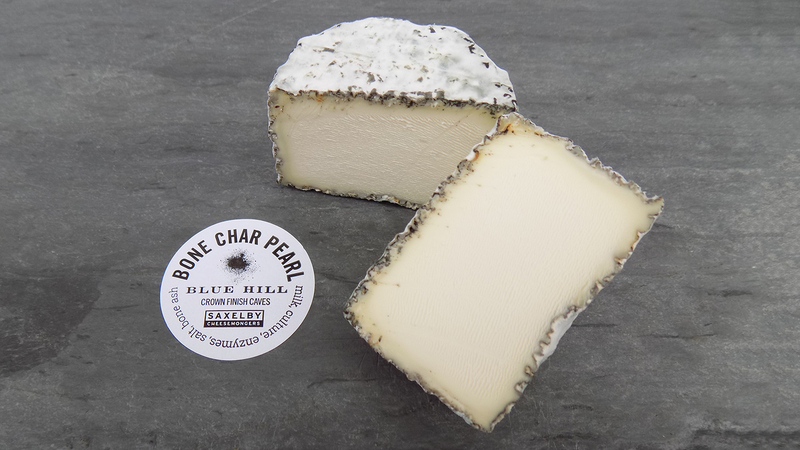 This particular cheese, the Bone Char Pearl, is now the first one that you can buy at a retailer and enjoy in your own home. It's going for $16 per pound at Saxelby. While it may just sound like the ultimate expression of gothic food trends, Anne Saxelby, founder and co-owner of the artisinal cheese shop where you can pick up a couple ounces of Bone Char Pearl, explained to GrubStreet that the charcoal shifts the cheese's pH, creating supposedly "beneficial microbial activity." 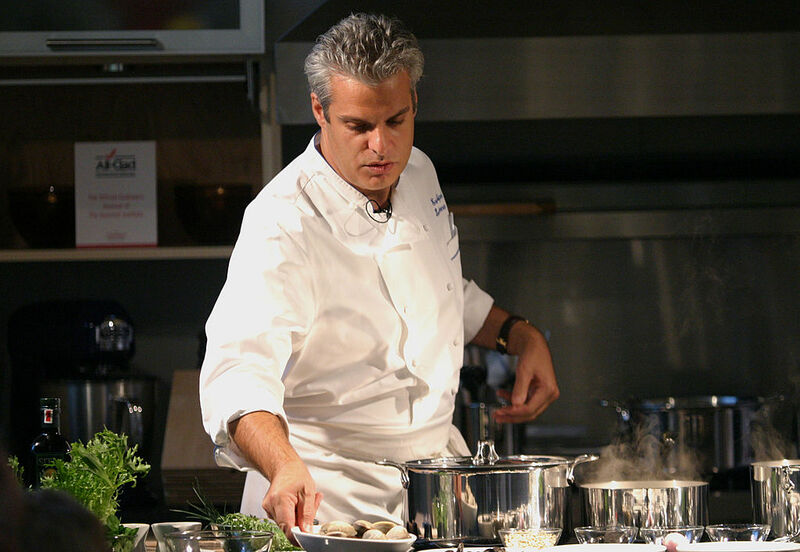 Barber, ever the innovator, is one of the first chefs to use animal bone ash to achieve this effect; in the past, most other chefs have simply used wood ash. The process of actually creating this cheese is a bit complex, as you might expect: First, a blend of goat and cow cheeses from Seal Cove Farm in Maine are dusted with charcoal, produced at Blue Hill at Stone Barns. Then, it's shipped to Crown Finish Caves in Brooklyn, where it's dried in a special oven called a sechoir and aged for three more weeks. At that point, it's shipped to Saxelby, ready to eat. Saxelby says that the cheese tastes, "really, really earthy," while GrubStreet claims it's extremely creamy, complete with hints of mushroom and grass. The Saxelby website, satisfyingly, refers to it as, "tangy," and "fudgy." Despite this morbid-seeming feature of Bone Char Pearl, it's still a cheese, and therefore probably delicious. In fact, we should be thanking Barber for giving us a little taste of Blue Hill at home.